Train more and save more! 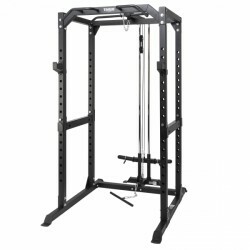 By using the Taurus Power Cage Set, you do not only do all barbell exercises safer and more effective but you also get even more exercising possibilities, mainly for arms and back, thanks to the accessory of the set. 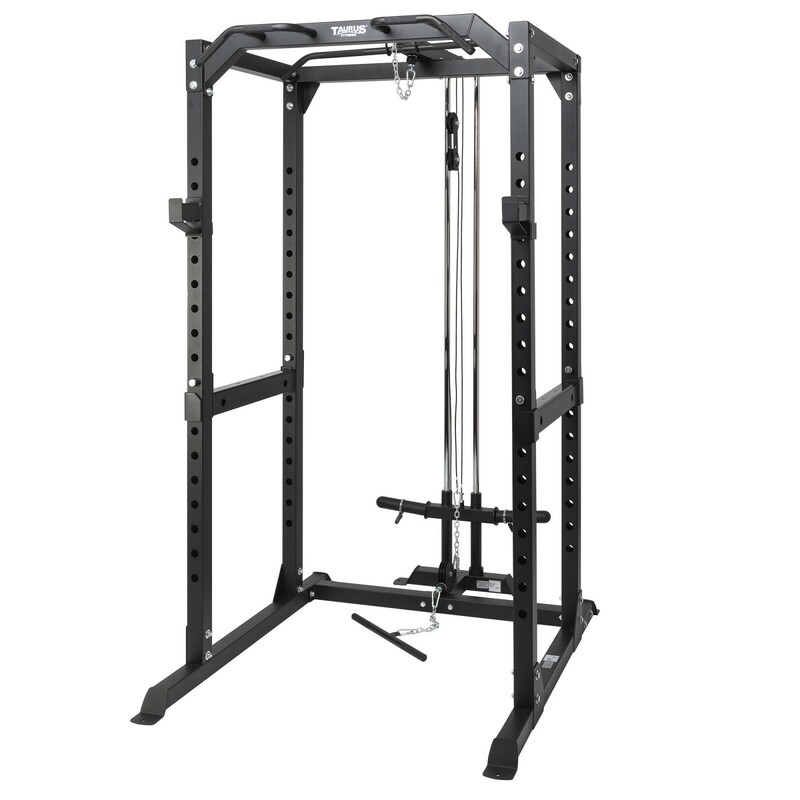 Besides the Power Cage, this set also includes two wide weight racks, all in all four short hooks, a cable pull module with two pulleys, a pair of dip bars, a chin-up module, a lat pull bar, and a short rowing bar. The hooks can be easily fixed at each height of the 18 height levels and can be used together. The hooks have a thick rubber coating which protects the weights and makes the training more silent. The dip module is mounted on the wide weight rack and can be adjusted in height. You can train your tricpes with dips by using this model and also the back with horizontal rowing or your abdominal muscles with leg lifting with reverse dips. The cable pull can be loaded up to 100 kg. Here, you should use the weight plates. Thanks to an adapter, the cable pull can be loaded with weight plates of 30 mm or 50 mm.